If doing a triathlon is on your bucket list, then this is the triathlon for you! 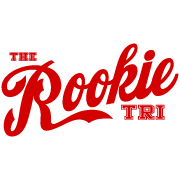 We wanted everyone to be able to experience the joy and awesome community that is triathlon, so in 2004 we created The Rookie Triathlon. This super sprint tri is a great beginner triathlon and is unique because of its separated Rookie (beginners) and Veterans (experience triathlete) waves. The course is beginner friendly but also great for those who are looking to speed on a short distance. 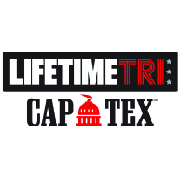 Since 1991, the Capitol of Texas Triathlon has become a fixture in the multisport spotlight – not only in central Texas, but also among the other seven races in the national Life Time Tri Series. This is triathlon is a Memorial Day tradition with a fun downtown course and finisher festival. Jack’s Generic Triathlon was founded by Jack Murray in 2003, at a time when he thought many triathlons had forgotten about the participants. Events had become so focused on getting big sponsors, accommodating pro athletes, and trying to look good that they sometimes neglected the actual product – the race. Athletes ended up paying more, but their racing experience was actually less. Jack had the idea to put on a race with very little pomp & circumstance, yet at the core be a great race. It would be well organized, safe, good value, and of course, fun. It reminded him of the generic aisle at the supermarket: It’s the same quality products, sometimes even better, but you don’t have to pay for the fancy packaging. And hence, the name Jack’s Generic Triathlon was born. Today, the event has a lot more fancy packaging, but at its core, it is still all about the participants. Each edition is designed, planned, and priced with you, every day at the forefront of the experience. 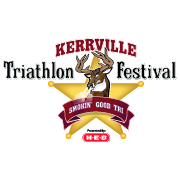 Starting in 2011, Kerrville Triathlon was founded with the idea of bringing out the beauty and welcoming nature of the Texas Hill Country. Since it’s start, over 6,000 participants have crossed the finish line to collect their medals. The event features 8 different distance events. From Sprint, Relays, Quarter Distance, and Aquabikes to full Half Distances- Kerrville Triathlon has something for every type of athlete. If you have any little athletes, bring them along for the free kids fun. Come to Kerrville on the last weekend in September and enjoy a small town atmosphere with big time fun!